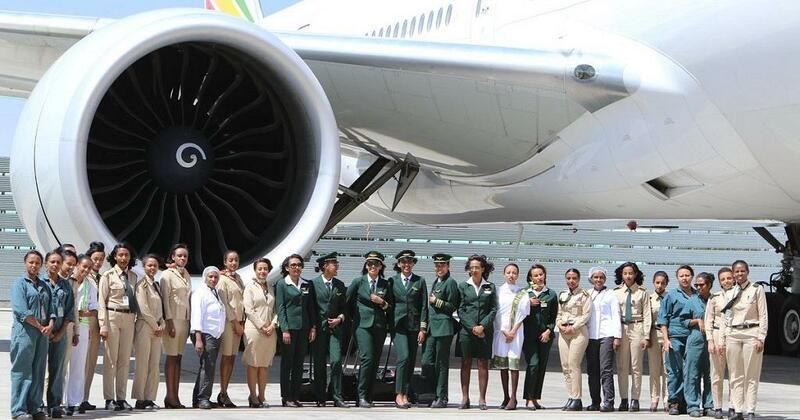 The all-women flight will have as a theme of “All women functioned flight to operate from the continent of African to meet with their counterparts in Europe to show the power of women to the world.”The historical flight will be operated by Ethiopian Airlines women professionals from flight deck all the way to the ground including airport operations, flight dispatch, load control, ramp operation, on-board logistics, safety and security, catering as well as air traffic control, which will be carried out entirely by women. Dieser Beitrag wurde unter Bildung, Economic, Politic, Presse, Social veröffentlicht. Setze ein Lesezeichen auf den Permalink.